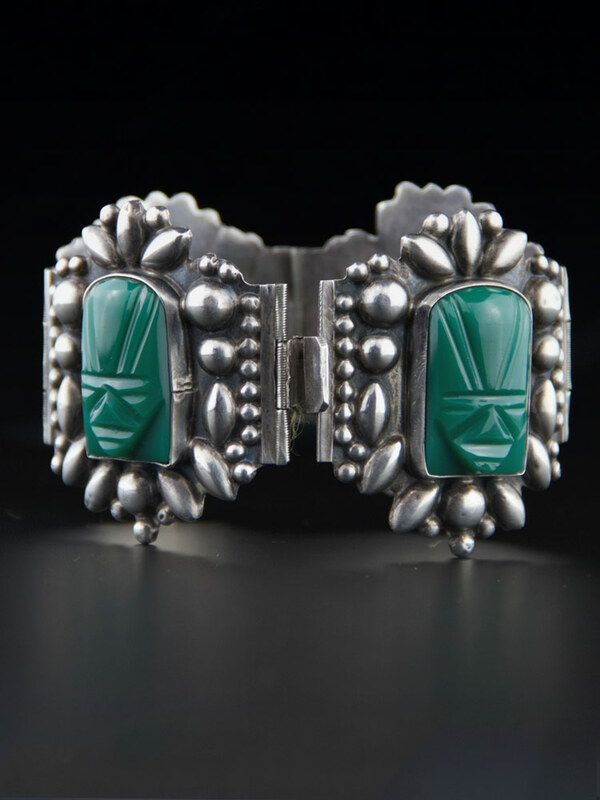 A stunning example of a large Mexican vintage cuff. Four carved green onyx stone faces set in large, ornate repoussé frames. Smooth bezel set inside a detailed circle and ellipse setting. Hand crafted circa 1940's this is a spectacular statement bracelet - you don't find many of this size. 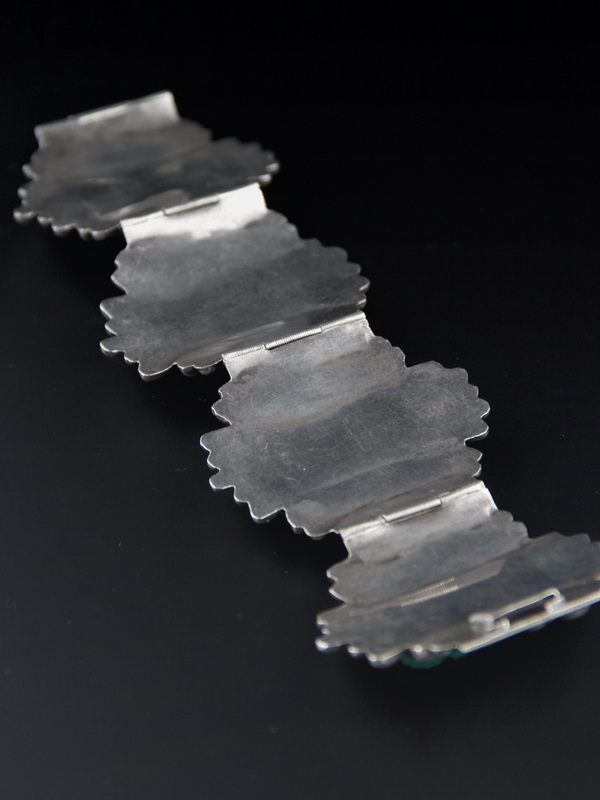 Four links, each set on a curve to make a smooth circle around your wrist with a tab clasp that closes securely with crisp click. 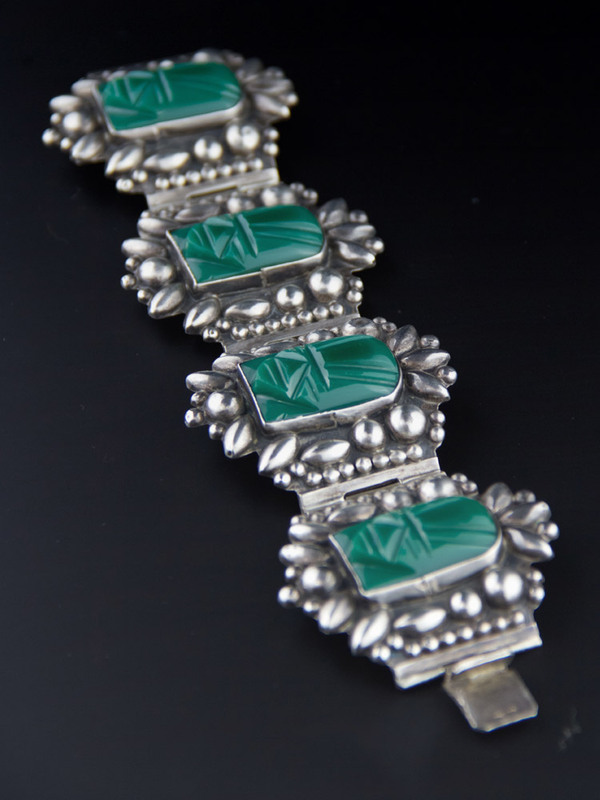 Nicely made - striking piece of art deco Mexican silver. Hallmark is quite worn but looks like STERLING on tongue, Hecho en Mexico DF 925 (only 5 remains) and either a little looping A or a fish symbol. 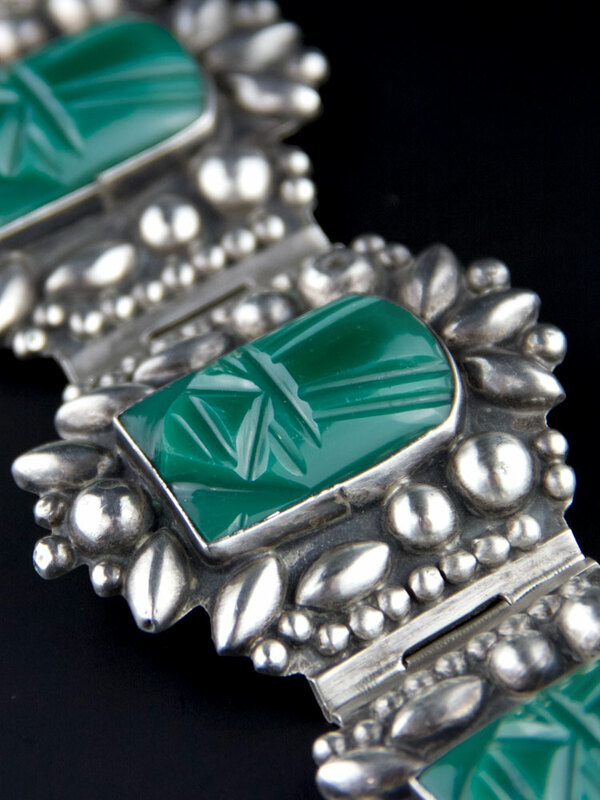 A popular green stone, often carved and used in vintage Mexican jewellery, sometimes referred to as 'Mexican Jade' or 'Green Onyx'. A few different stones were popular with Mexican artisans, sometimes a dyed calcite, agate, chrysoprase or onyx. 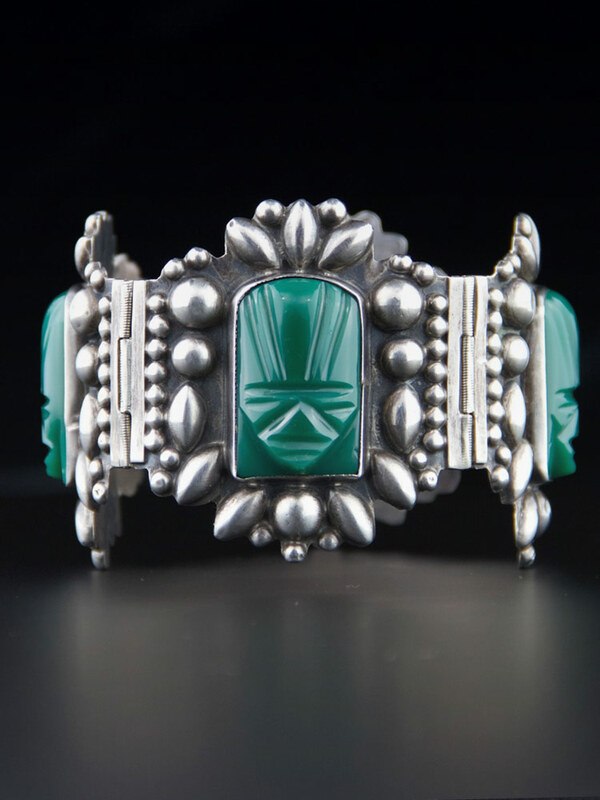 The carved tribal mask was popularised in the Art Deco period in Mexican jewellery. Inspired by the pre-columbian Aztec and Mayan civilisations and carved out of various stones - onyx, calcite, amethyst, tiger's eye, sometimes cast in bronze or copper - the mask features in necklaces, earrings, rings and bracelets.